Mobile Exit Intent technology is one of the greatest tools discovered recently. This is a life-saver innovation for mobile website owners. This is a fresh breath for advertising campaigns on mobile websites. Checkout one of the most popular plugins using Mobile Exit Intent Technology. 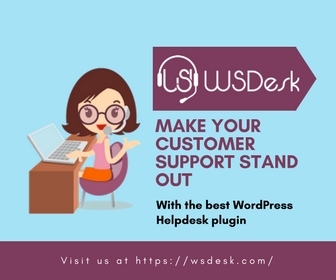 You can find a few similar options suitable for WordPress sites here. 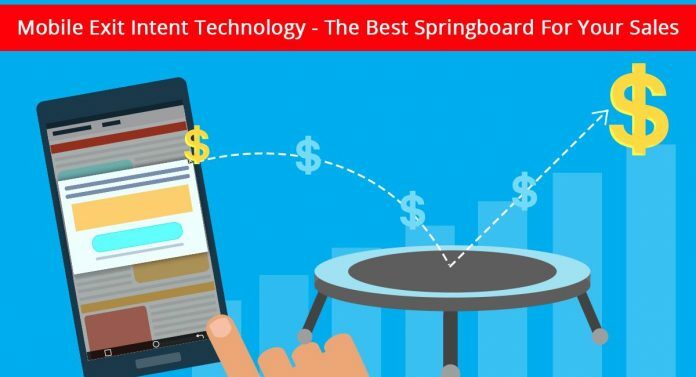 Exit Intent technology itself has been known as one of the most powerful converting means for any website. This is the most effective user-converter today. Popups triggered on exit intent are most likely to bring the user back rather than any other triggering event. The point in this case is to offer something really enticing to not only stop them from leaving but also convince them for more actions, like shopping. A nice discount or a free gift offer would just be on point in this case. Mobile Exit Intent technology is kind of a deficit option, as not all the popup services offer it. Most of the popup services are limited only with desktop exit intent technology. 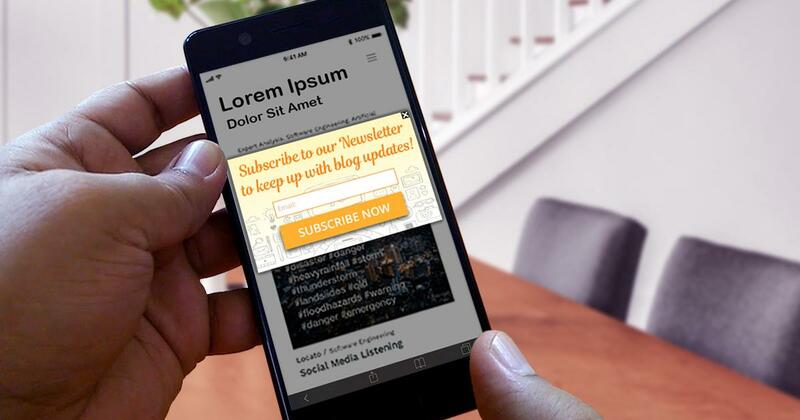 How exit intent popup is triggered on mobile devices? We all know that the exit intent trigger requires a mouse cursor movement to trigger a popup. So when the user navigates the cursor out of the browser or to the “X” close button of the browser tab, the popup appears. This was the typical Soft mode of Exit Intent technology. In case of Aggressive mode of Exit Intent setting, the trigger works even when the page is refreshed or when the “X” button is clicked. It’s becoming quite confusing how the exit intent works on mobile devices, as there’s no mouse cursor on mobile, obviously. So, eventually, how is it triggered? 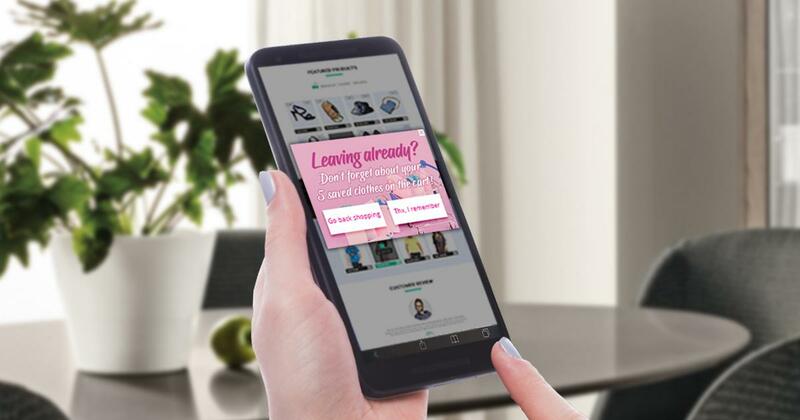 Some powerful popup services have developed a technology that will trigger an exit intent popup even on mobile devices, without any mouse cursors, of course. The “Back” button trigger – When the user clicks on the “Back” button on the mobile screen, the popup appears, supposing the user is going to leave the page. This is a typical exit intent solution to stop users from leaving the page earlier or without completing some actions. The “Double tip tab switch” – Another quite effective exit intent trigger option is the tab switching on mobile browsers. When the user double tips to switch the browser tabs on mobile device, the popup appears as an exit intent trigger and shows some offer to prevent users from leaving. A nicely served discount offer can stop users from leaving the site without making purchases. The point is always to show the offer on the best moment not to be the loser in all scenarios. In fact, the appropriate discount offer can bring you more sales than you think. At this point, we can definitely insist that the mobile exit intent popups are one of the most powerful tools in sales growth. Just show a beautifully designed popup with a good discount offer, and that’s it, the user is yours! 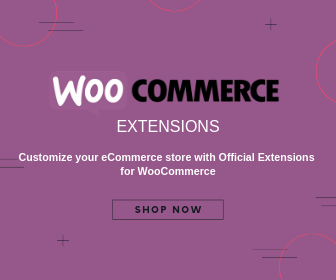 Add to this the mobile exit intent trigger and get ready to have more sales on your WooCommerce store. The most practical way of showing discount coupons to the users is the CTA button inside a popup. The coupon code will be copied when the users click on it. What do you think the user will do with that copied discount code? Of course, there is a high chance that they will go back shopping and will bring you guaranteed profit. One of the commonest things we do while online shopping is forgetting about the goods added to our cart. We just leave the site, not remembering about the stuff we liked and were about to purchase. Or, we somehow change our minds and simply leave without checking out. Most of us prefer making online shopping via our mobile devices, sitting somewhere, laying or just hanging in a café. This is why, a better accent should be put on the mobile version of your online store. Think about attracting and retargeting abandoning visitors, if you’re one of those online store owners who sees a lot of cart abandonment. A beautiful popup reminder would be just on point when a user tries to leave the site without purchasing the product that has been added to their cart. It should be like asking them to go on shopping. The important point here is to provide a choice for the user. So if they just don’t want to shop, they can leave the site. 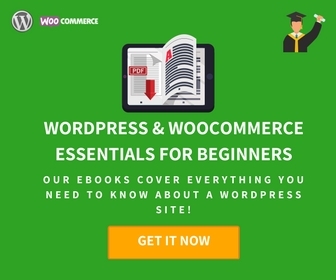 Provide two buttons inside the popup, one of which will redirect users to the cart page, and the second one will let them leave the site. If you’re running a blog you should best know that subscribers are everything for any blog. This is why, you should put all your efforts, find all the possible ways to collect as many subscribers for your list as possible. The more subscribers you have, the more stable your audience base will be. Subscriber’s list enables you with the perfect opportunity to keep the readers updated and informed about every single post. So, considering these facts, you should know about exit intent Subscription popups. There’s no better moment to ask the reader to subscribe other than when they are just about to leave. This will not only stop them and decrease the bounce rate on your site, but also bring more subscribers to your list. As mentioned before, people are stuck with their mobile devices, and they read mostly on their phone screens. So, keep this in mind, and add a mobile exit intent subscription popup on your blog, to attract mobile readers as well. 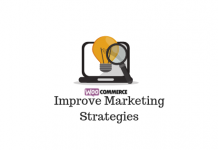 In this mobilized era all the forces of advertising are concentrated on mobile versions of the websites. 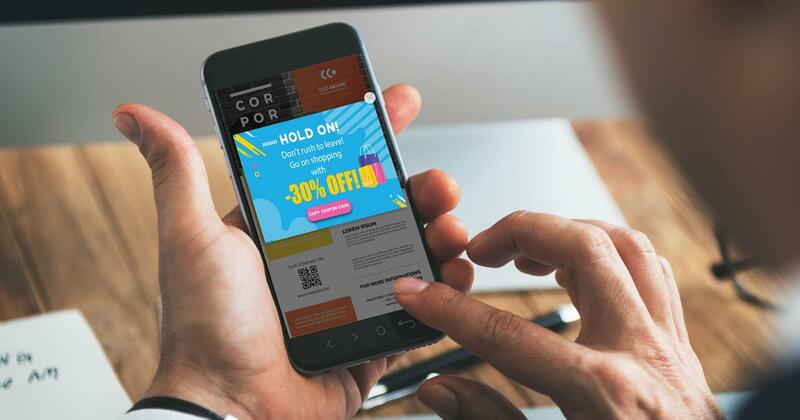 This is why mobile exit intent technology is kind of a life-saver for any website owner that needs to increase conversion rates or boost the sales on the website. Just knowing a couple of little tricks achieved via mobile exit intent popups, one can have success in an unbelievably short period of time. Simple tricks that won’t take much from you, if you have the right popup creator tool in your hands. How to make the most out of abandoned carts?